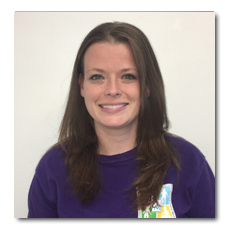 Tara is a licensed and certified Occupational Therapist in the state of Maryland. She received her Master’s degree in Occupational Therapy from Towson University in 2010. She has been employed as an Occupational Therapist with Coordinated Movements, Inc. since receiving her license in 2010. She has experience working with many children with a wide variety of diagnosis. Tara is a certified Interactive Metronome provider, a certified Therapeutic Listening provider, and she is certified in CPR. She also has experience in many different treatment areas including but not limited to: Rhythmic Movement Training, Keyboarding Without Tears, Sensory Processing, feeding, Integrated Listening, Astronaut Training, and floor time techniques.